Can you imagine when all people can communicate each other easily and freely? Does it already happen? Yeah, but, there are still some barriers that prevent them to do that. One of them is the language. Yup! People have their own language. But, thanks to technology, we now can communicate to others in such different way. Yeah, in such different way. The structure is good since the tech can help us with that. But, the meaning is somehow missing. There is a gap there. To acquire both meaning and structure, both feeling and information, we need to learn it by ourselves. People can always learn new languages. The key is the will. Where there is a will, there is a way. How about you? Do you have the will already? If it does, then what will you learn? Spanish? Portuguese? Danish? French? or Latin? No, Latin? Why? It’s really hard and old. Alright then, we can try the modern one. Yup! Russian! You know this country right? The very distinctive language with such really unique alphabet. Still doubt about it? 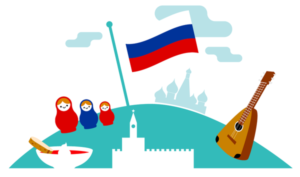 Here is all the five reasons why you must learn Russian now! 1. You will be able to learn easily another language. According to many linguists there are some languages which are considered as the mother of all languages. It means that mastering it will need such really long time because the linguistic aspects are so hard to grasp. One of the aspects is the alphabet. Languages with distinctive kind of alphabet will need more time to master. This includes Russian language. Russian is one such great language that has really good structure. Moreover, it is more consistent than any other languages. That makes it is easier to learn with the help of some great tips. 2. You will be able to speak with so many people. Covers 1/8th of the world’s surface lands. Spans along nine time zones. Spoken by more than 270 millions people. Those are the proof how great Russia and Russian language is. The land is so massively wide. That means the people who already use the language is also a lot and it is widely spread in nine time zones. Moreover, Russian is also one of the official UN languages which is ranked as the fifth most prevalent language from all over the world. 3. You will be able to have a trip in more than 10 different countries. Before the country is transformed into Russia, it is called as USSR (Union of Soviet Socialist Republic). The USSR used Russian language as their native language. Now, there are many countries which are decided to build their own. Some of them are Ukraine, Polish, Czech, Lithuania, Estonia, and many more. Those span along Europe and Asia. And almost all of them are using Russian as their native language. So, which one do you want to visit first? 4. You will be able to read so many great literature. Pushkin. Dostoyevsky. Tolstoy. Chekov. Those are some of the greatest people who have works of the world. Through learning the language, you will be able to deal with it much closely and much privately. The reason is because the translation is somehow giving different meaning, also sometimes way too far from the original language. 5. You will be able to connect with one of the most powerful countries. Since it is one of those powerful countries, there are companies who already have branches all over the world. Mastering it will give you more benefit to be able working in one of those companies. The People who have such different kind of structure names. The culture which have very unique Christmas custom and traditions. The literature which have greatest people with such really great histories like Banya bathing practice and traditions of Samovar. Almost all about Russia is great. And all of them is related by the language. Learning and mastering it will give you a lot of great benefits even you do not have a direct contact with Russia. Because Russian language is already widely spread to all over the world.